Learn about 2017's plenary speaker, Jerry Tello. 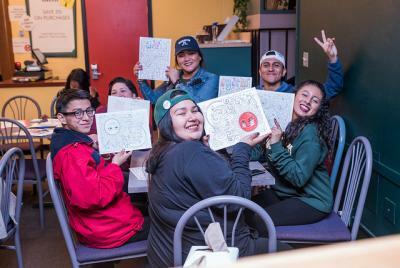 American Indian College Motivation Day is held each Fall at Humboldt State University. Approximately 400 high school students from 30 schools throughout Northern California attend the event. In all, 30 tribal affiliations are represented. One of the highlights of the program is the opportunity for Instant Admission for senior attendees who have applied to HSU, offered by the Enrollment Management staff. Workshops are led by United Indian Health Services, Tribal affiliates, UC college representatives, and HSU personnel. 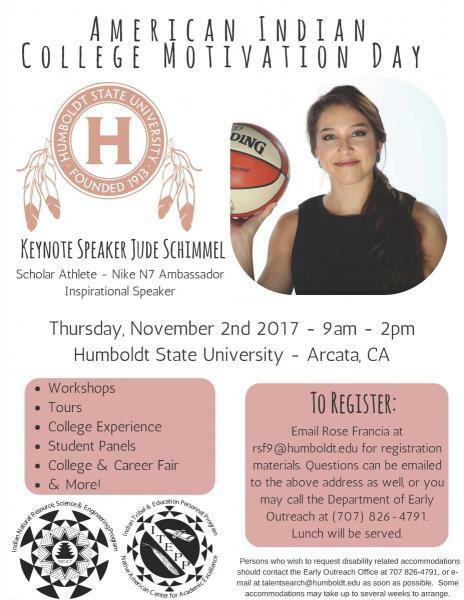 The day also includes a College Fair, in which students are exposed to college representatives, several community organizations, and HSU programs. Check back in September for more details. 7th Graders also participate in an IBAC event hosted by College of the Redwoods.